In the hottest continent in the world, we are obliged to battle the heat for much of the season. The excessive summer temperatures don’t make for a particularly hospitable work environment, but at the very least, we should be able to count on a reasonable degree of relaxing coolness in our homes. Circulation is absolutely vital for our houses. Heated air can be trapped in ceiling spaces, warmed by the roof shingles, leading to a crawlspace feeling more like a Turkish bath. This heat radiates through the ceiling and walls, and can make the house a sweatbox. This is felt especially acutely in the upstairs bedrooms, where you’re trying – and often failing – to sleep. For these reasons, engineers developed a method of drawing the heated air out of your crawlspace. You’ve no doubt seen the classic Whirlybird on roofs Sydney-wide: a round, cylindrical vent, driven by the wind. As it spins, the blades on the whirlybird draw out the warm air in the roof crawlspace and disperses it. Because heat rises, it is best to locate yours as close to the peak as possible, which is conveniently the best spot to catch the strongest breeze. Meanwhile, ceiling vents, typically located underneath the eaves of your home, draw in cooler air to replace it. 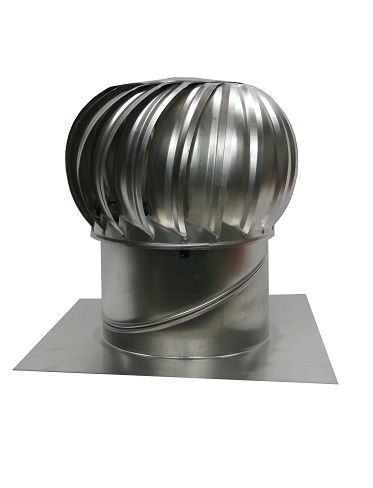 Other options include using an in-house vent to move air through the upper floors and out via the whirlybird. These innovative little units draw air through your house whenever there is a breeze, so the air continues to flow regardless of the time of day. This can lead to a cooler ‘starting point’ for your houses temperature in the morning, as it will be less likely to retain heat from the prior day’s onslaught from the sun, keeping it cooler throughout the day. They aren’t a cure-all, but if you’ve found your house in Sydney to be less comfortable than you would prefer, whirlybirds can be an inexpensive and efficient solution.